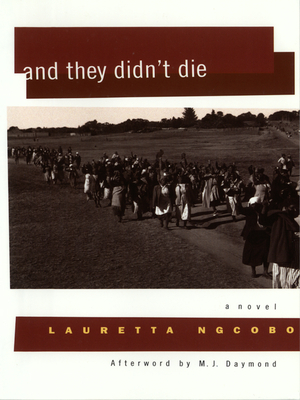 Drawing on firsthand experience, distinguished South African writer Lauretta Ngcobo depicts the lives of rural women in South Africa, paying homage to the extraordinary courage and remarkable endurance of these unsung heroines of the struggle against apartheid. Set in the barren Sabelweini Valley in the 1950s to 1980s, the novel centers around one young woman, Jezile, whose political consciousness deepens as state laws threaten her earnings and her land. Arrested along with hundreds of others and sentenced to six months hard labor in prison, Jezile returns home to find her child dying of starvation. When her husband is arrested for stealing milk to save the child, Jezile must fight to ensure her family's survival. Lauretta Ngcobo (1931-2015) was a South African novelist and essayist. After living in exile between 1963 and 1994, she lived in Durban. In 2006, she received the Lifetime Achievement Literary Award of the South African Literary Awards. In 2008, she was awarded the Order of Ikhamanga for her work in literature and in promoting gender equality. She was named an eThekwini Living Legend in 2012, and in 2014 she received an honorary doctorate of Technology in Arts and Design from Durban University of Technology.